A mixed compilation of short stories that travels with time. Begins in the wild west era, to the modern world and onwards to the unexplainable until it reaches the final story of medieval times. All mixed into one book. Quench your need to read with this story of six. Ichirou hasn’t quite decided what to put in this column. 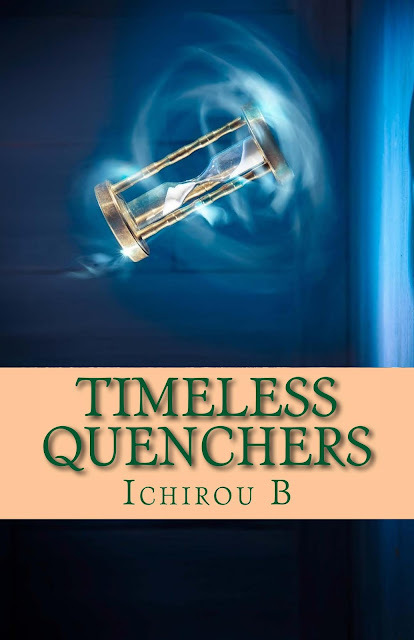 Being quite the story teller and having won prizes spinning marvelous stories, one fine day, Ichirou decided to put these marvelous stories into writing. Forget about dry puzzle books. It's time for a new kind of adventure. Join a valiant knight in his dangerous quest to save a princess from an evil dragon. Along the way, you will meet wonderfully eccentric characters, settle arguments, and solve their problems. While some solutions won’t influence your next step, others will be vital to your character’s survival. So be careful, or your journey may be over before you know it. 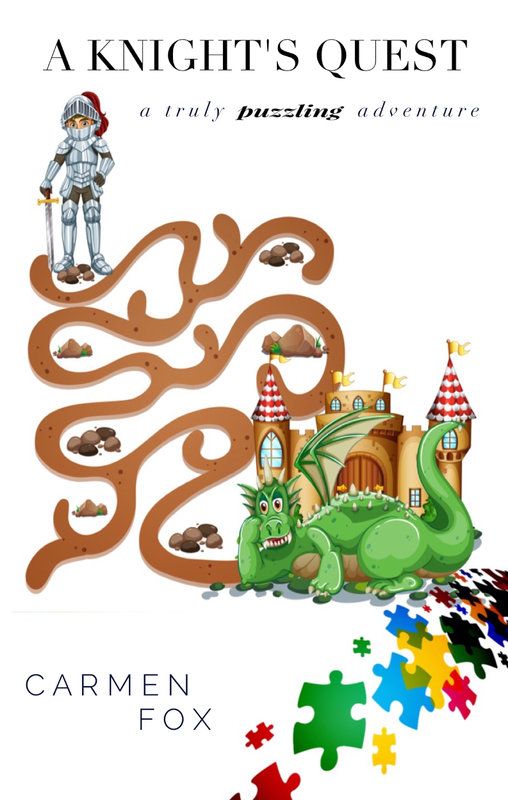 A Knight’s Quest contains about 70 puzzles and brain teasers, including word searches, Sudoku, crosswords, mazes, and many you won’t have seen before. Carmen Fox lives in the south of England with her beloved tea maker and a stuffed sheep called Fergus. An avid reader since childhood, she caught the writing bug when her Nana asked her to write a story. She also has a law degree, studied physics for a few years, dabbled in marketing and human resources, and, in addition to native-level German, she speaks fluent Geek. Her preferred niches of geekdom are tabletop games, comics, sci-fi and fantasy. She writes about smart women with sassitude, about pretty cool guys too, and will chase that plot twist, no matter how elusive. Expect to be kept guessing. Visit her blog at www.carmen-fox.com. A quirky survey of Pioneer beverages. Recipes, tips, and a bit of history explaining the how and why behind what the settlers drank. From clarifying coffee with the swim bladder of a fish (um, YUCK!!) to making coffee substitutes with everything from grape seeds to sweet potatoes, this book examines period beverages and how many of them came into being. A fun, sometimes irreverent (but extremely well-researched!) 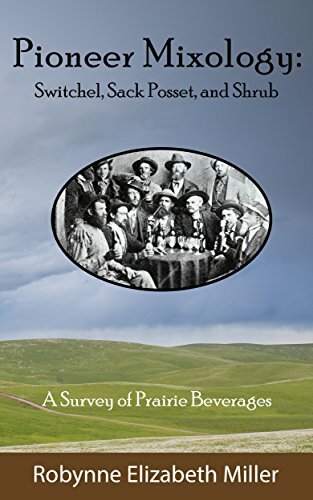 book perfect for history buffs, homesteaders, beverage aficionados, fans of the prairie lifestyle. Robynne Elizabeth Miller has authored three nonfiction books as well as numerous articles and essays. 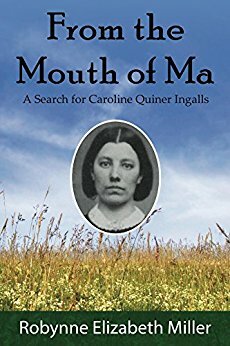 Her first book, “From the Mouth of Ma,” is a look at Caroline Quiner Ingalls, the mother of Laura Ingalls Wilder. Her second book, “Pioneer Mixology,” is a quirky survey of beverages that the pioneers enjoyed. Her most recent work is the newly released “The Three Faces of Nellie,” an in-depth biography of the three women who made up the composite Little House character of Nellie Oleson. Robynne’s author website is www.robynnemiller.com and she also blogs extensively at mylittelprairiehome.com and thepracticalpioneer.com. 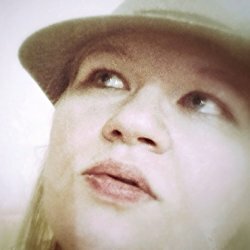 Aside from writing, Robynne is a speaker, editor, and writing coach. She teaches at writers conferences and local writers workshops, leads two writing/critique groups, and is the Communications Director for the Inspire Christian Writers board of directors. She is completing her Master’s degree in Nonfiction and Fiction at Ashland University. Robynne lives with her British husband, and the youngest two of their four cheeky children, in the snowy woods of the Sierra Nevada Mountains of Northern California. 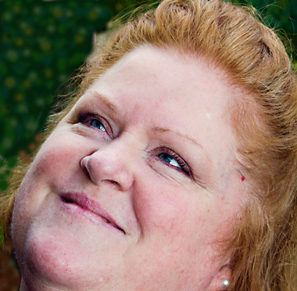 When not writing, Robynne loves singing, felling trees, and making bacon from scratch. There’s not a whole lot written about Caroline Quiner Ingalls, the mother of famed Little House on the Prairie author, Laura Ingalls Wilder. And I always wondered why. So I set about looking for her. . .in family letters, bits of biography and, mostly, through the words she spoke throughout the Little House series. The Ma I thought I’d find wasn’t the one I discovered. I think you’ll be happy that you did. Whether you love her, hate her, or love to hate her, Nellie Oleson is one of most recognizable literary figures of the 20th century. But Laura Ingalls Wilder, author of the Little House on the Prairie series in which Nellie appears, had a secret. . .Nellie wasn’t a real person! Instead, she was a composite character created from three girls Laura knew from childhood: Nellie Owens, Genevieve Masters, and Estella Gilbert. The Little House character of Nellie Oleson is one-dimensional: snobbish, selfish, and thoroughly unpleasant. But the real women behind Laura’s creation? An intriguing mix of the not-so-nice and the unexpectedly redeemable. In short, they were human. 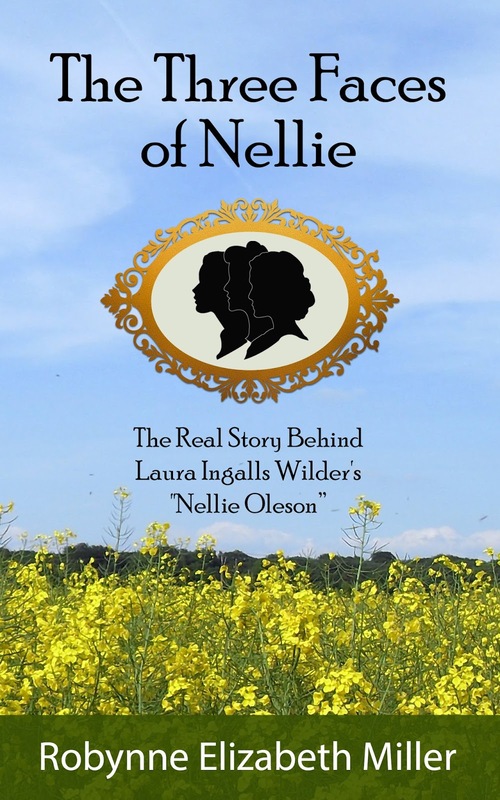 Discovering the true stories behind Nellie, Genevieve, and Estella has been a fascinating journey. All three ended up on the West Coast at one point. . .true westward movement! One was widowed twice, one ended up divorced, and one died way too young. Two only had one child, and one had three, though she outlived her youngest by a very long time. There’s even some “Nellie-like” drama in there: Embezzlement. Lying on censuses. Shady land deals. But there are some beautiful things, too. . .like the enduring love of a husband after his bride died. Or the rare closeness of a mother and daughter who shared their lives as adults. Or the strength of a young widowed mother who not only cared for her son, but headed out west, in true pioneer fashion, while she did so. Laura Ingalls Wilder did a masterful job of creating the character of Nellie Oleson. But the three real-life women behind that iconic character are, in my opinion, infinitely more intriguing. A failed quarterback, failed husband and failed human being, finds redemption through the music of a failed songwriter. This darkly humorous thriller is based on real events, including the ' Accidental ' deaths of twenty two UK scientists all working on US missile systems. 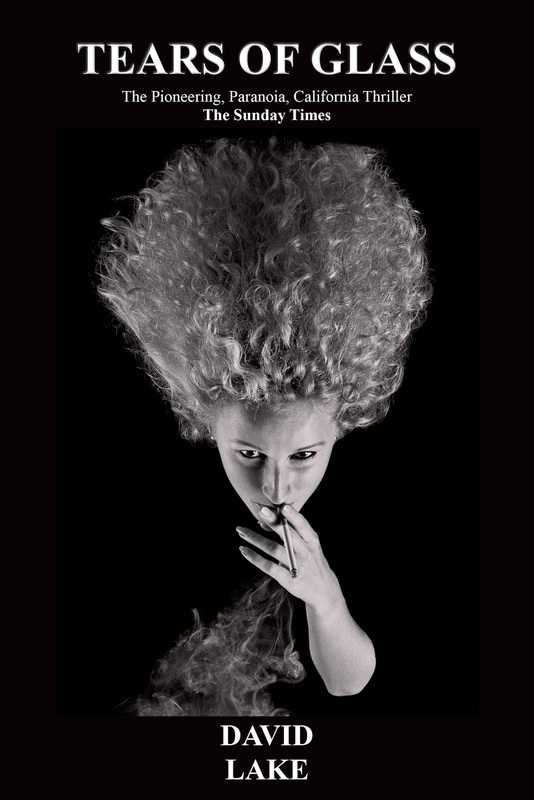 Morgan, a drinking, smoking, womaniser, is drawn to the iconic music of the seventies - Dylan, Carole King, Neil Young, Led Zep - but when he acquires a rejected demo tape by a bluesy pianist, his friends start to meet with bizarre, ' Accidental ' deaths. It eventually dawns that HE is the target . Running to the Californian desert, picking up the inevitable girl en-route, he has no idea that he has stumbled. literally, upon the biggest conspiracy the Intelligence Services have tried to hide since The Wall came down. The contrast between those who rule our lives and those who try to live by the rules, is brought into sharp focus through a collection of disparate characters, all having their own agenda. The underlying darkness of the message is almost totally masked by the nature of the ' Ripping Yarn.' The reader rides a wave of action, humour, pathos, passion, violence and even enlightenment. A battered Mustang left the track and headed for the City, leaving in its wake the smell of bourbon and the sounds of Neil Young and Crazy Horse. Young picked the guts out of ‘Cowgirl in the sand’ with a rusty nail and hung them with precision on electric strings of barbed-wire. The car moved fast against the rain. It pitched and rolled and dipped hard at the hairpins. It had seen better days, but then so had the driver. The thunderstorm had moved on and the squalls were tiring. Soon the heat would come. He reeled in the silvered road, one hand on the wheel, one around a can of beer. The cigarette had almost burned to the filter when he spat it out. The wind carried it away. The wipers smeared the last of the rain into neat arcs, the drops on the periphery remained static and the air stank of it. The Mustang hissed onwards, down through the low hills and all alone. 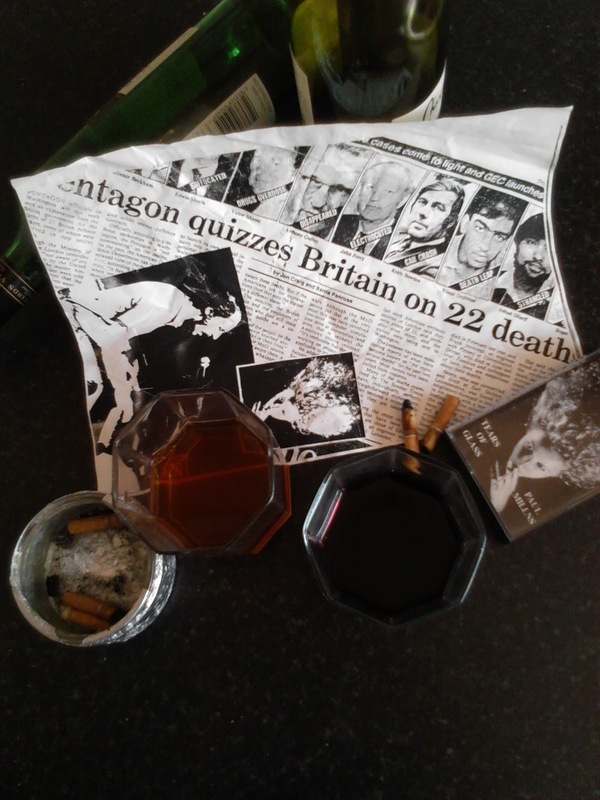 He lit another cigarette, slowed slightly and lobbed the can into a roadside bin; straight in, it didn't touch the sides. The Mustang moved off at speed, the hood was down and the driver was wet. He didn't seem to care. MORGAN – Ex Quarterback, Ex Everything. The man had been drinking, but not that much. He had come out of the storm, wet and warmly smiling and had sat at the bar for about an hour. He had a good face, blue, or were they grey, eyes; hooded by slanting lids, and a strong mouth above a chiselled chin. He pushed his glass towards the barmaid as he spoke and raised one finger. She assumed he wanted another. The finger went up again and he nodded. ‘She told me that the first time we met ... I don't know what she meant, but I took it as a compliment.’ The barmaid wasn't sure if a response was required, so she just poured the drink and raised her eyebrows. ‘Right,’ she said, which could have meant anything. The room was dark, and the desk, telephone and face of the man who held it, was striped with light from thin horizontal blinds. The face was tight and pale, the hair cropped close to the head, the only distinguishing feature on which, being steel-framed glasses. He wore a white, button-down shirt and dark tie and the trousers of a dark suit. The man was speaking in clipped metallic tones. ‘It's Siemonsen ... Have the Cleaners gone in ...? Good. Any feedback from the cops .... ? Good, so no problems ... ? Excellent! What ... ! ?’ The stripes of light across his face did a passable imitation of a Munch lithograph. He slammed the ‘phone down. Together they lifted her and moved through into the hall. The tall one took her under the armpits and was first to the stairs. Dead bodies are not very co-operative before rigor sets in, and lifting a sack of jelly may have been easier. They took her up head first, the man holding the legs having difficulty pinning the smooth, waxed limbs tight between his arms and his side. After four steps and losing his grip twice, he resorted to draping her long legs over his shoulders. The radio was playing ‘Stairway to Heaven’ as they proceeded up the curved stairway in this slightly surreal fashion; her backside bumping rhythmically on each stair and her pelvis thrusting into the smaller man's face. Almost the scenario she had planned for that evening, but not quite. She had reached Heaven anyway, albeit by a different route than originally anticipated. Death imitating Art. She lay like a perfectly placed starfish, wide open, sightless eyes fixed on the ceiling; head, legs and arms formed a tightly-stretched pentangle, the white limbs forming the ultimate contrast with the surface on which she rested. Strips of black silk held her ankles and wrists, and the silk scarf around her neck had choked the life out of her. Whether by accident or design Blake couldn't say. The human pentangle stood in silence for a few moments, gazing down at the body. The cameraman erected the tripod and started blazing away. Back in the darkened, light-striped office, Siemonsen was listening on the 'phone. The earnest voice at the other end was trying to sound competent. ‘Can you do something about it?’ said Siemonsen, interrupting sharply. ‘Put water on the fire ... then blow away the smoke.’ Siemonsen said, picking up the silver frame sitting at the right hand corner of his desk which held the twin photographs of his parents. He was looking at them thoughtfully. Siemonsen wrote carefully with his fountain pen, the one his mother had bought him all those years ago, A HARD RAIN'S GONNA FALL. ‘How do you know me?’ There was caution behind the eyes, which were set in a sensitive face that most would describe as lived-in; although, unshaven and unrested, this one looked more like a squat. ‘Buy me one now if you like.’ The two moved to the bar. ‘I’m doing post-grad studies in modern history and European languages ... and,’ belligerently now, ‘I'm twenty-seven, unmarried, couple of jobs, a couple of boyfriends, not serious, and a nice middle-class background. OK?’ Morgan's hands went up in mock surrender. Morgan went quiet, then, ‘This week is more like General Custer.’ They both looked out of the window. They both looked sad. The brass letters on the rosewood background indicated that the distinguished gentleman was Sir Anthony McLean, and he was carefully measuring out a spoonful of brown sugar and ignoring the telephone. When he was quite sure that the tea in his cup was assembled correctly he picked up the 'phone. He took a sip, scraping the bottom of the cup on the rim of the saucer to catch any drips. The recipient of this remark put his chin into the palm of his hand and stared unblinking at the young man with the button-down shirt. ‘What makes you think that?’ The speaker was a comfortably large man with piercingly intelligent eyes. He was embedded in a winged leather armchair, the focal point of his den at the top of his secluded wooded home. ‘You're a bloody idiot, Trench!’ This was delivered in a broad East-End accent. ‘Did you have a good night?’ The Sheriff was still doing his Rod Steiger impersonation as he leaned against the bar and looked at the couple. The White Lodge in daylight was as seedy as it had appeared the day before. ‘Heat of the Night’ smiled to himself knowingly. He cleared his throat and got down to more serious questions. ‘Now it would seem that the only person with a motive in this case is you, Mr Morgan.’ Morgan looked offended. The Sheriff wasn't finished. ‘You return to your seat, have a fit of jealousy, and before you know it ... WHAM!’ The Sheriff thumped the table hard, bouncing a couple of glasses. When they had settled, he spoke in a softer voice. ‘I don't think it happened that way. Besides, I never seen a Quarterback who carried a knife.’ Then thoughtfully. ‘ But maybe that doesn’t apply to Running Backs.’ The Sheriff took a swig from a bottle. Siemonsen sat in his office, half a dozen acolytes around him. The 'phone was jammed in his ear. David Lake has a background in Scientific research and the Music Business.He was the Marketing Director of Virgin Records in the 70's and Promoted Concerts by major artists such as Tangerine Dream, Vangelis, David Crosby and Mike Oldfield. 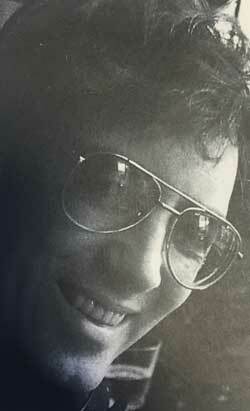 Lake also created music videos and had a small award- winning film/ production company. Lake lives with his family in Sussex England. Josh Coleman is an engineer who finds himself moving between alternate versions of his life, each one seemingly as real as the others. His only hope of finding an answer to his strange predicament may rest with a mysterious woman who appears in each of his lives. “I came to see if I could drag you away from here. It is the Fourth of July after all. I wanted to see the fireworks show on Lake Union but my husband decided he’d rather stay home. Why don’t you come with me?” Robin said. Josh thought about the last time he had seen “his” Robin, back in the car as they were leaving Henderson on their way to Seattle. That was also the Fourth of July weekend. Now he had relived the same six months over again. “You read my mind. Again,” she said. Josh quit the program and gathered up his coat and backpack. They went down the hall and out the door to the building. Josh looked up and the sky was dark and foreboding. It was not unusual to have summer rains in Seattle by any means, but he had never seen clouds like this before in July. “I hope we don’t get drenched at the show,” Josh said. “Reconsidering your position already? I may share my umbrella if you are really nice to me,” Robin said with a playful tone. “Lucky guess I suppose.” They were crossing campus, nearing the University's famous red-brick plaza known as Red Square. They both paused for a moment in Red Square. Robin pulled her arm away from Josh’s grasp and then placed her hand on top of his. Josh felt his pulse quicken as he felt her hand. There was so much he longed to tell her, but he knew he could not. “There you go again, changing the subject just when we have one of our moments.” Robin was smiling as though she was being playful again, but she was once again studying Josh’s face for a response. “Sorry,” he replied. The first drops of rain started to fall. Robin had barely opened her umbrella when the rainfall became heavy. She stood close to him, holding the umbrella over both of them. “Well ok then. I will allow you to stay here if you admit that I was right. And that I am the most amazing woman you’ve ever met.” Her impish grin had returned. Josh stood for a moment, close enough to smell the familiar scent of her hair and feel the heat from her body. It made him long once again for the intimacy they had shared in the other life. The raindrops were tapping loudly. They stood for a moment in silence. Her hand found his again. He started moving closer, knowing it was not right. Her gaze did not leave his. The tapping of the rain became louder. His focus broke when he began to listen to the sound of the rain over his head. It was starting to sound odd. Instead of the usual sound of rainfall, the tapping on the umbrella had somehow become very orderly, almost rhythmic. He recognized the pattern. It was the staccato sound he’d heard before—once when he was in Dunsmore’s office, and the second time when he was in the car with Robin Arnette. “Are you ok?” Robin asked. The other sounds had become quieter as the staccato became stronger and more insistent. Now he could barely hear Robin. He glanced up to look at the umbrella over his head in the direction of the sound. But when he looked up, he saw only blue sky. He was standing on the beach again, next to a palm tree whose fronds waved gently in the breeze. He looked in front of him and saw a long sandy beach with an ocean that had an almost impossibly perfect horizon. Dark thunderhead clouds were in the distance. Then just as suddenly, he found himself sitting in a darkened room. He blinked as his eyes adjusted to the sudden darkness..."
Jeff Comer is a biologist, computer scientist and author who still prefers the term Renaissance Man to polymath, and dares to aspire towards becoming that. He draws on his experiences in Africa, biomedical research and programming to craft novels that look at the way that the human experience intersects with technology. 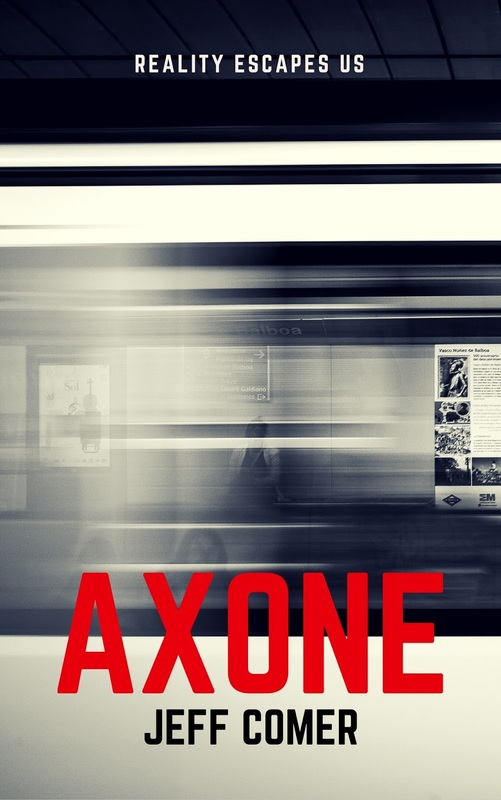 Despite his wealth, Alex Thompson has been living in fear since his wife died in childbirth. A frivolous wrongful death lawsuit, harassing phone calls, and anonymous threats drive him and his five-year-old twins away from their home in Houston and into the crosshairs of a snMolly McDill is a struggling single mom who lives next door to Alex and his twins. When she helps them adjust to their new life in the country, she exposes herself and her son to the same threat that followed Alex. An attempt on his life throws their lives into chaos, inviting more threats, public scrutiny, and Molly's ex-husband back into her life. The tension tests the attraction they feel toward each other as they struggle to keep life normal for their kids. Alex still doesn't know who wants him dead but suspects his former in-laws. As the threats become a visceral danger, Alex and Molly race to uncover the secret that died with his wife before it costs them everything. A week after Alex started the fence project, Molly had the kids in the kitchen making their own pizzas for lunch when Alex came in through the back door. “Daddy! I’m makin’ a pizza with marshmallows and pineapple!” Hannah had flour all over her hands and face from rolling out the dough. Her small pizza was covered with sauce, cheese, and topped with her less traditional ingredients. “Wow, that sure looks… interesting,” Alex said with a helpless smile at Molly. “Mine is an alien,” Manny said as he pointed out the pepperoni eyes, olive nose, and hammy lips laid over its cheesy skin. “What about us?” Alex asked Molly with an easy grin. “You and I get regular old pepperoni and cheese, unless you want to mix it up,” she replied. Molly blushed from the compliment as she watched him drain the first glass and pour another. A series of short, true life stories, which are the product of the travels and observations of one man. The stories are a miscellaneous collection of the funny and sad, of tragedy, love and friendship. And they are all, in a way, unexpected. Unexpected takes you on a journey from a Brazilian working on the oil rigs of Venezuela, who gets the shock of his life, to the uplifting story of a Chinese beggar living on the streets, entertaining passers-by with his songs and surviving through the mercy and kindness of others. There is a story for each of us in this book. Each one is subtly different and each carries either a message of hope for lost, or of caution for the unwary. Unexpected is just that. Just as life is and just as the course of our lives run, at times unexpectedly. P.F. Citizen One is a writer. He works as a petroleum engineer, which requires a lot of traveling to different countries, and he uses the situations and varied people he has come across as an inspiration for his great love of writing. His interest in travel has meant that he has picked up some useful languages along the way, and he is now fluent in English, French, Portuguese, Spanish and German, allowing him to go just about anywhere and still be understood. Most of the time. He lists his great fear as ''being stranded alone on a desert island'' and, as a result, he avoids traveling by boat whenever he can. P.F. Citizen One’s new book, Unexpected, was published on October 7th and is a book of short stories, inspired by his travels throughout the world and the people he has met. Daryl Wein discovered he was among the millions of patients with type 2 diabetes while studying to become a Physician Assistant. That's when he found out that, despite type 2 diabetes making up the vast majority of cases, most of the reading material he could find was geared toward patients with type 1 diabetes. Type 2 Diabetes The Owner's Manual is his way of fixing that. This handbook is an easy-to-read guide on how to manage your blood sugar primarily through diet. It is written clearly and concisely, explaining the difference between the two diseases in a way that is easy to grasp. You don't have to be a health professional to understand the book. Wein includes concrete examples of what to eat and what to avoid. He talks about the importance of exercise and provides information about medicines in a way that the layman can comprehend without needing to know medical terminology. 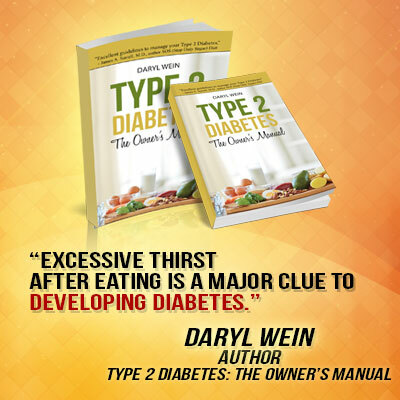 The book also includes a useful question-and-answer section that covers a variety of specifics about type 2 diabetes to help you make sense of it all. Wein knows about the frustration and fear diabetics feel, because he's been there. As he explains in the book, when he experienced blurred vision and other health problems while studying to become a Physician Assistant, he discovered that he was among the millions diagnosed each year with type 2 diabetes. "There was no mistake: I was now a diabetic!" he writes. "I sat down and started crying, not something I would ordinarily allow myself to do." He goes on to describe how a mentor told him that diabetes can usually be managed easily. He made sure to explain that failing to control it can lead to serious health problems including blindness, kidney failure, and limb amputations. He offered hope. Wein's book offers the same message of hope, along with a somber reminder that failing to control diabetes can lead to premature death. He provides readers with the right information to help make sure they understand that this doesn't have to happen to them. 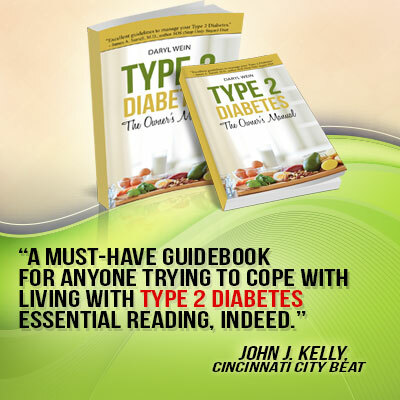 The author also makes clear the difference between type 1 and type 2 diabetes, suggesting that type 2 diabetes needs to have a new name. That name should be "carbosis," he argues, which gets right to the point that type 2 diabetes is a disease where the body does not process carbohydrates correctly. He has conveniently included tabular lists of many foods, showing the carbohydrate content of each. "My intent in writing this book is to finally provide a source of information geared specifically for you and me, along with the millions of others with this disease and the many millions who have it but don't yet know it," he writes. "This book is designed primarily to provide clear guidance for patients." You don't have to be a health expert to manage the disease. Wein lays it out to his patients, about eighty percent of whom, he estimates, have well-controlled blood sugar levels. Type 2 Diabetes The Owner's Manual can be your step-by-step guide on how to control your disease. 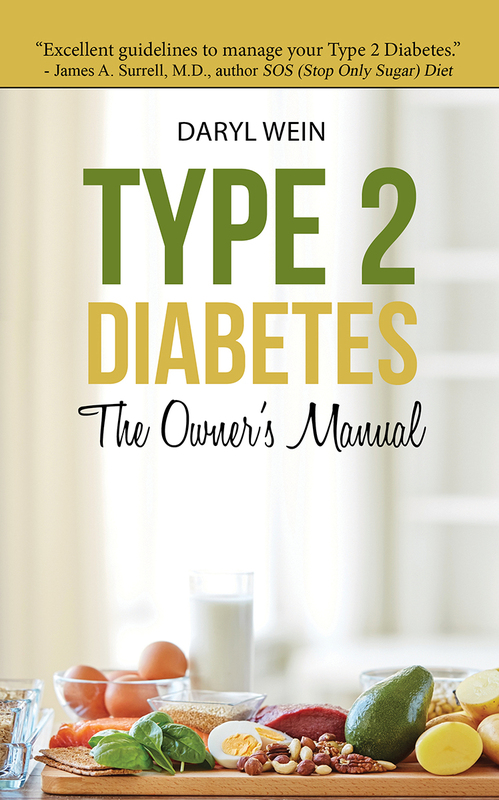 Let this book help you manage type 2 diabetes rather than letting the disease manage you. There are almost no carbs in any of the artificial sweeteners so they do not contribute to the elevation of blood sugar. Monitoring your sugar 2-3 times a day with a finger stick test is costly and a complete waste of time. A native of Niles, Michigan, Wein earned a degree as a Medical Technologist/Clinical Laboratory Scientist from USC Medical Center in 1978 and earned a degree as a Family Practice Physician Assistant from UC Davis School of Medicine in 1999. Since 1999, while working as a PA with Dr. David Olson and Dr. Elaine Madayag in internal medicine, Wein also worked as a PA at Stanislaus County Urgent Care, Oak Valley Hospital ER, Central California Bariatric Surgery, as a contractor for California Correctional Health Care System, and for rural health clinics run by Oak Valley Clinics. He also has has done some software development, and is credentialed in California to teach community college classes. Why did he have to be so perfect? After a terrible breakup, I wanted nothing to do with dating of any kind. Trust was not a quality that I was blessed with at that moment, but that didn't stop him. He was the best friend that I'd ever had, but that wasn't all I wanted. I felt terrible about it, but I couldn't help it. I told myself that the last thing that I needed was a rebound, but after that night... Well - I just can't seem to stop myself. A.M. Wray is the Contemporary Romance name for author Candy Crum. She lives with her two young boys and her Harlequin Great Dane, Harley Quinn. A lover of many genres, Candy Crum writes Paranormal Romance, YA (Romance and Fantasy), Fantasy, and even a little horror. 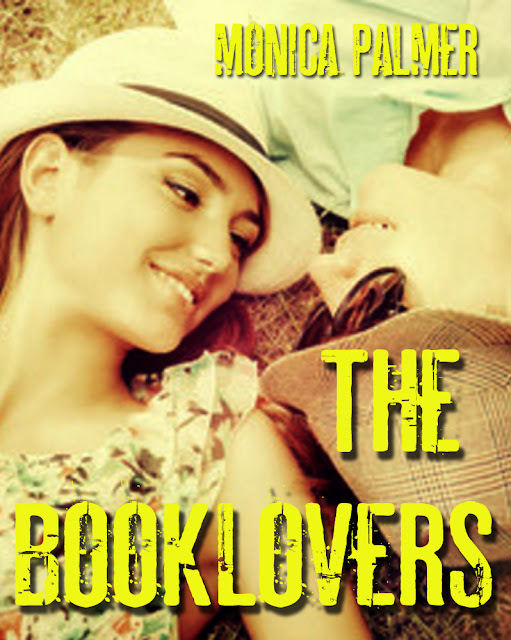 Under A.M. Wray, she covers Contemporary Romance, Erotica, and Thrillers. 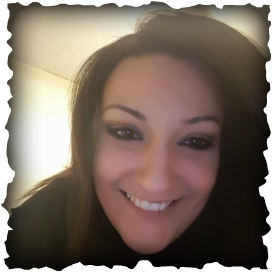 Candy loves art and enjoys drawing, playing around and learning PhotoShop, and writing/reading. More than anything she loves hearing from her fans and connecting with them. She even has a newsletter (accessible on her website) that offers freebies for loyal fans. There's nothing like Christmas in Kissing Bridge. When their family legendary blue ribbon winning recipe is stolen, the Landers sisters are up in arms as to what to do to break the curse and win the Silver Bells cookie contest. All of our favorite people in Kissing Bridge weave in and out of this adorable story about love, faith and a little magic. The curse must be broken and love restored when Summer finds out that her Aunt Amelia has a normal family - with men. Because the curse had caused the rest of them to always lose the men they loved, Summer will stop at nothing to find out the answer to ending the curse once and for all. Her mother however has forsaken men for her blue ribbon cookie crown. Cookies you can count on, men not so much . 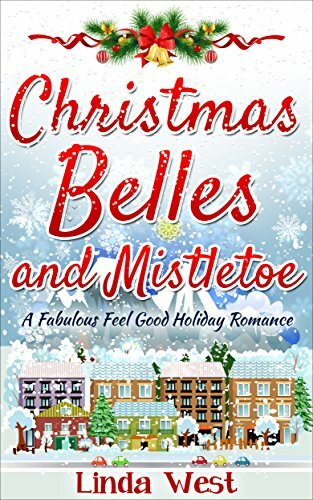 Meanwhile Mrs. Beaverton has gone crazy and is accosting the men of Kissing Bridge at every turn and bend where ever an innocent mistletoe lurks. It’s a wonderful fun holiday romance filled with cozy mysteries and cookie contests! What more could you want? This is the last book in the "Love on Kissing Bridge Mountain" series. Each of the books in the series are complete stand alone clean and wholesome love stories. On sale for $0.99 through November! ”Everything I wanted in a feel good holiday romance with clean stories that leave you happy. I cried at the end it was so inspirational and touching! Thank you Linda West!" G. Browning Kindle Good Books. Rebound (Bending the Rules) is available for preorder!